ESL Certified is the partner of choice for EFL instructors seeking life-changing work in the Republic of Georgia. We can guide you through the application process and support you every step of the way. Before going through the nuts and bolts of applying, let us tell you a little more about Georgia. Click to see FAQs about Georgia, to learn how to apply, or here to apply now. Be sure to scroll to the bottom of the page to check out websites and videos on Georgia, the TLG program, and traveling abroad. Further, upon successful completion of the contract, each Volunteer receives a letter of recommendation from TLG and a certificate signed by the Minister of Education and Science of Georgia as well as Director of the National Center for Teacher Professional Development under the Minister of Education and Science of Georgia, signifying his or her dedication to the program. *The monthly stipend is 625 GEL. After taxes, the net amount direct deposited into the volunteers’ personal bank account is 600 GEL. Monthly, the volunteers give their host families 200 GEL to cover basic costs that are incurred when hosting a volunteer which include food and utilities. Volunteers are expected to be punctual, flexible and maintain a positive attitude. Although this is a volunteer program it must be taken seriously and treated like a job. It is up to the volunteer to be responsible and meet the standards and rules set forth by the program and your school. At school, volunteers co-teach grades 1-6 with up to three Local English Teachers for a maximum of 30 hours per week, which includes time spent planning lessons. The schedule will be determined by the school principal. There is only one volunteer per school. Volunteers create interactive activities with a specific focus on listening and speaking skills. Many volunteers organize extracurricular activities based on their personal interests and the needs of the schools. At home, volunteers are expected to provide their host families with three hours of English lessons each week. Volunteers participate in cultural exchange activities with their host families and integrate with the local communities. Flexibility, an open-mind, and a willingness to make a difference! Applications are accepted on a rolling basis, as there are two group intakes per month. Volunteer contracts are initially signed for one or two semesters with options to extend. Contract lengths can vary from three to nine months, depending on arrival date. Teach and Learn with Georgia (TLG) was created in 2010 as part of a series of extensive reforms to the Georgian educational system. Inspired by the President of Georgia's call for a year of education, the Ministry of Education and Science of Georgia (MES) designed TLG to bring 1000 English speakers to volunteer in Georgian schools and live in Georgian communities, serving as language teachers, communication partners, and cultural ambassadors. 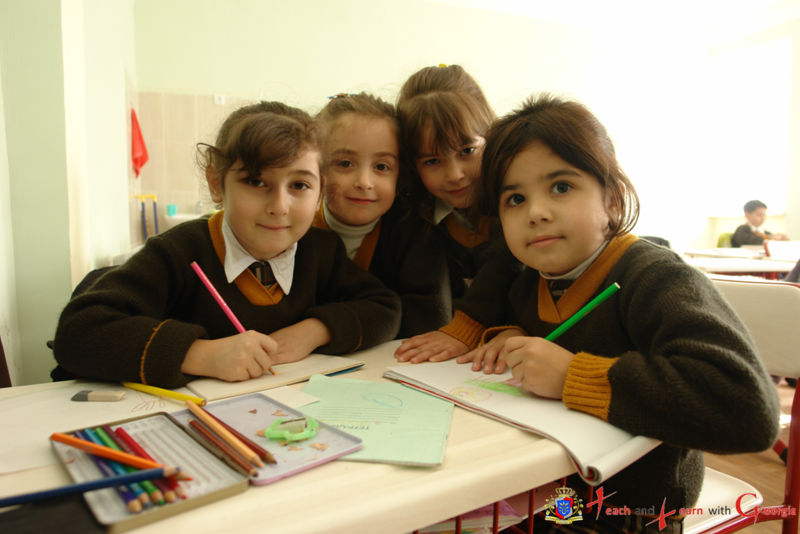 The primary goal of TLG is to improve the English language skills of Georgian students, teachers and families. As a post-Soviet country, Georgia is at a turning point in its history. For centuries, while other countries and cultures were globalizing, Georgia’s borders were closed to the outside world. Now, as a sovereign state, Georgia has the opportunity to integrate with the rest of the world—linguistically and culturally. This is what makes TLG a particularly unique program. Bringing English speakers into classrooms increases English language proficiency throughout the country, which is essential to Georgia’s ability to assimilate into the modern world. Further, bringing English speakers from diverse cultures into not only the classroom, but the communities, as well, encourages interaction and the sharing of values and customs—something Georgia has missed out on for far too long. Following intensive strategic planning, the first group of volunteer English teachers arrived to Georgia in July 2010. By January 2012, only two years after the program was announced, over 30 groups of volunteers, from over 40 countries, have been placed throughout the regions of Georgia and the program is transcending its original goals. In 1991, Georgia broke free from the dying Soviet Union and began the long process of reinventing itself as a modern, democratic nation-state. 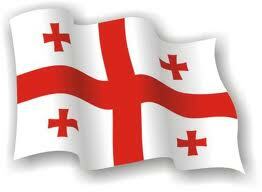 As one of the oldest countries in the world, Georgia has a strong foundation upon which it can build itself anew. Georgia’s history stretches back 1.8 million years to a time when the first hominids were leaving their ancestral homelands in Africa for the wide world beyond. The fossilized Homo erectus remains found near Dmanisi, Georgia constitute the oldest hominid specimens discovered outside of Africa and mark Georgia as the site of the first Europeans. As early as the 6th millennium BCE, Georgians had begun cultivating grapes and turning them into wine—a rich and proud tradition that continues to this day. By the 2nd millennium BCE, the origins of Georgian statehood had been established through the coalescence of tribal communities into larger civilizations such as the kingdoms of Colchis and Iberia. As Georgian society and culture thrived, it attracted the attention of Greek adventurers who came to the Caucasus Mountains, to the kingdom of Colchis to learn the secrets of gold-panning using sheepskin. These adventurers were Jason and his Argonauts and the technology they sought was the legendary Golden Fleece. From ancient times, Georgia existed as a crossroads of cultures—a land where East meets West. One of the earliest and easternmost Christian nations, Georgia served as a hub in the famous Silk Road. The northern branch of this pre-modern continent-spanning trade network passed northward through Georgia on its way to Europe. Though the trade routes of the Silk Road opened Georgia to the wider world, they also opened it to invasion and conquest. For hundreds of years Georgia fought to maintain its sovereignty, its religion, and its culture. Under renowned King David the Builder and King Tamar* in the 11th and 12th century, Georgia experienced two Golden Ages that saw a great expansion of Georgian culture, literature, and territorial control. Boasting a unique language and alphabet, Georgian tradition and civilization survived a constant onslaught of foreign armies—from the Arabs, to the Mongols, to the Ottomans, and finally the Russians in 1801. Except for a brief period of independence following the collapse of the Russian Empire in 1917, Georgia remained under Russian rule for nearly two hundred years. At the end of the 20th century, Georgia finally regained its independence and reestablished self-rule. Despite the conflicts of the 1990s and 2008, Georgia continues to innovate and move forward with sweeping reforms in an effort to modernize and democratize while maintaining and respecting its past. *Georgians refer to the female monarch Tamar of Georgia (r. 1184-1213) as “King” as a sign of respect to her great power and ability. Georgians are a hearty and hospitable people who are renowned for their love of music, dance, theatre and cinema. World famous painters such as Niko Pirosmani, ballet choreographers such as George Balanchine, and film directors like Robert Sturua have come from Georgia. Georgians also love their food. Each historical province of Georgia has its own separate gastronomic tradition, such as Kakhetian and Megrelian cuisines. In addition to various meat dishes, Georgian cuisine also offers a variety of vegetarian meals. The importance of both food and drink to Georgian culture comes to light during a feast, or supra, when a vast mixture of dishes is prepared, always accompanied by large amounts of wine, and dinner can last for hours. In a Georgian feast, the role of the tamada, or toastmaster, is an important and honored position. Living in Georgia will give you the special opportunity to experience these rich traditions firsthand. Interested in teaching English in Georgia, follow 9 easy steps: Click here to learn how to apply.